Blumhouse Productions’ 2012 sleeper Sinister was an impressively creepy fright flick that drew much of its strength from Ethan Hawke’s convincing portrayal of Ellison Oswalt, a struggling true-crime writer who seeks inspiration by moving his unknowing family into a home where an unsolved mass murder occurred. For Sinister 2, we don’t get Ethan Hawke. What we get is the bland James Ransone, who played Sinister’s semigoofy deputy sheriff. That casting misstep is just one of many weaknesses in a follow-up that proves about as welcome among horror sequels as Exorcist II: The Heretic. Not a deputy anymore but still bent on stopping the evil force behind the first film’s murders, the ex-cop shows up at an Indiana death house intent on burning it down. 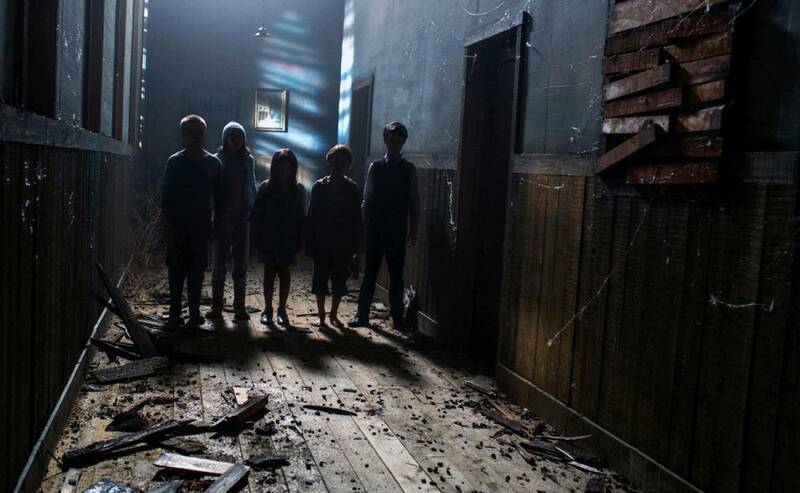 To his surprise, the place is occupied by an attractive mother (One Missed Call’s Shannyn Sossamon) and her twin nine-year-olds, Dylan and Zach (Robert Daniel Sloan and Dartanian Sloan). The former is a sensitive, nightmare-prone type haunted by memories of his abusive father, the latter a bully easily influenced by the dickhead dad. Their sprawling home is also inhabited by a gaggle of pasty-faced ghost kids whose sole purpose is to get Dylan to watch 8mm home movies depicting their entire families being bound, gagged, and murdered in various nasty ways. It seems like the killings—which include a sickening set piece in which rats gnaw their way into, then out of, victims’ torsos—are there mainly to shock you into overlooking the cumbersome story line, humdrum dialogue, and forgettable performances. Just when it looked like Blumhouse was on a winning terror track with The Gift—not to mention the quirky little Netflix item Creep—it got detoured straight into Shitsville with this groan-inducing cash grab.